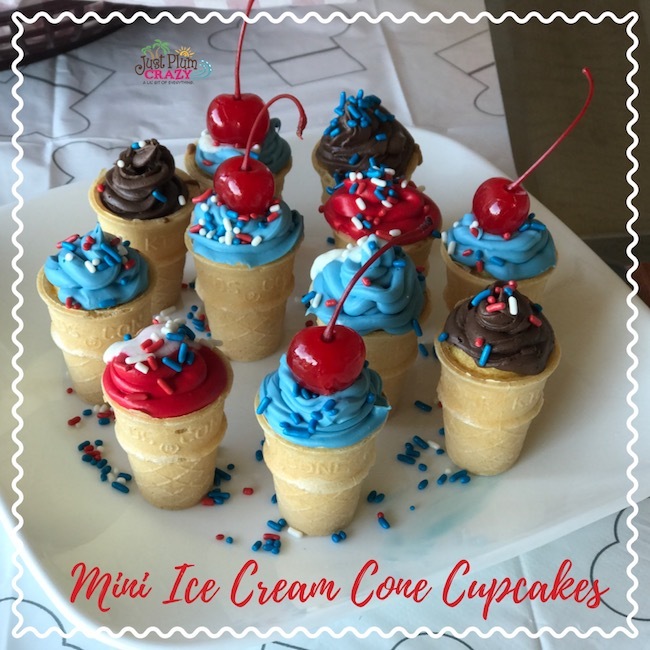 Mini Ice Cream Cone Cupcakes Recipe | Be Plum Crazy! 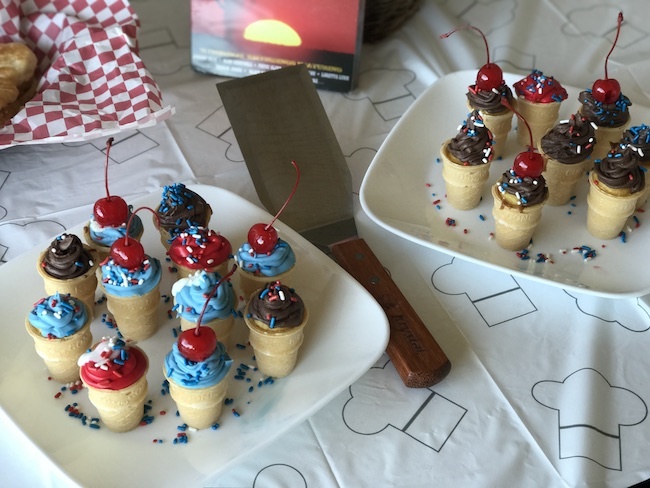 The Mini Ice Cream Cone Cupcakes Recipe is brought to you by Just Plum Crazy. 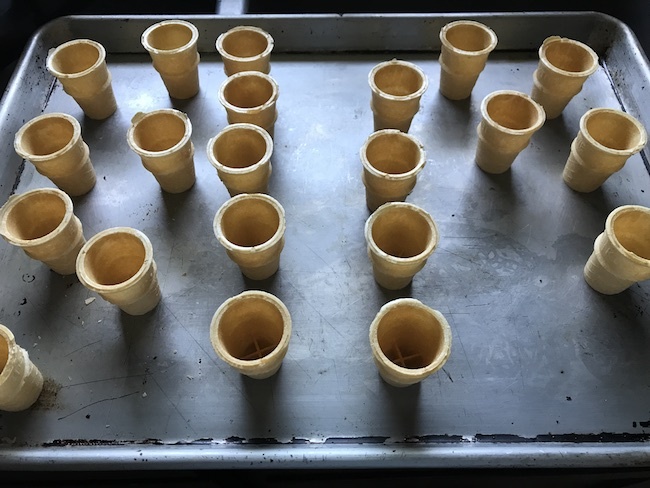 Mini Ice Cream Cone Cupcakes Recipe! I love everything mini. 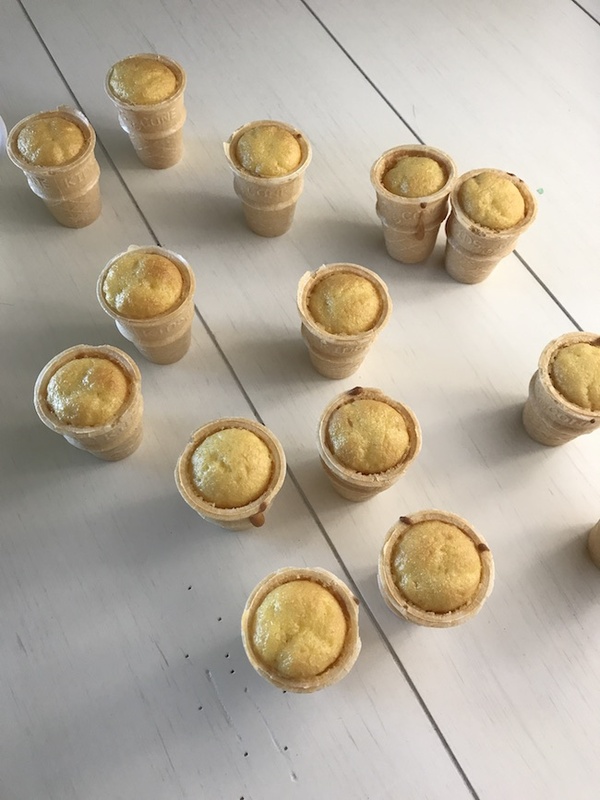 So these Mini Ice Cream Cone Cupcakes Recipe are just the cutest thing. They fit right in with our Country-Fried Krystal BBQ party. You know, Krystal sandwiches, mini sandwiches? 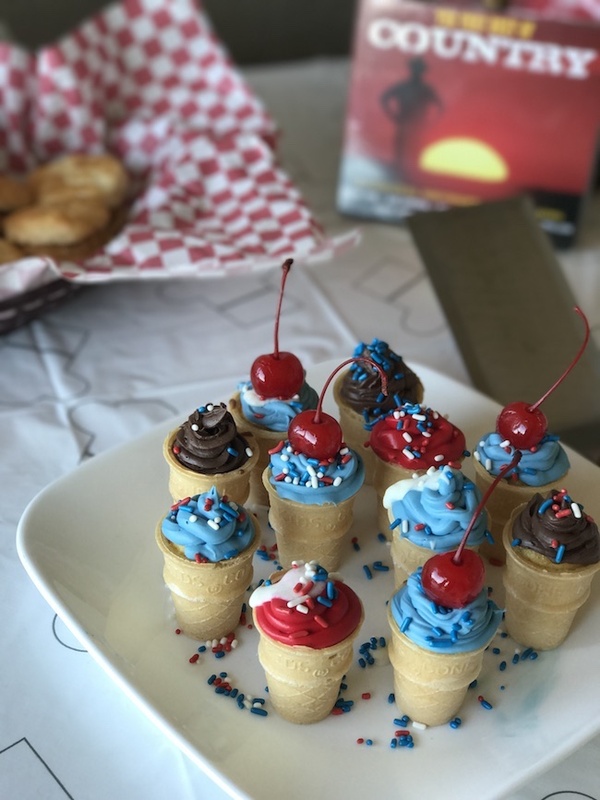 We also made some mini cupcake burgers. They are just the cutest. Ok, enough talking, let’s get cooking. 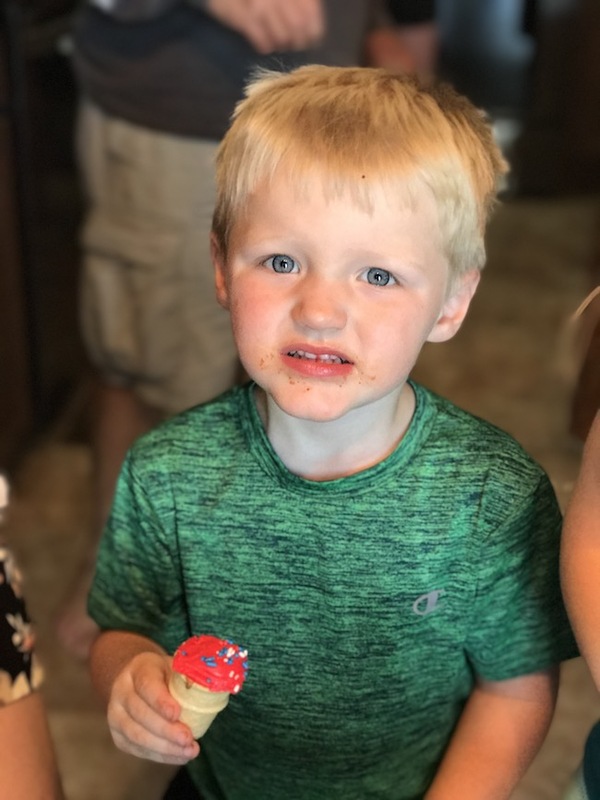 Cake mix of your choice. Food coloring. I was going for the red, white & blue theme. 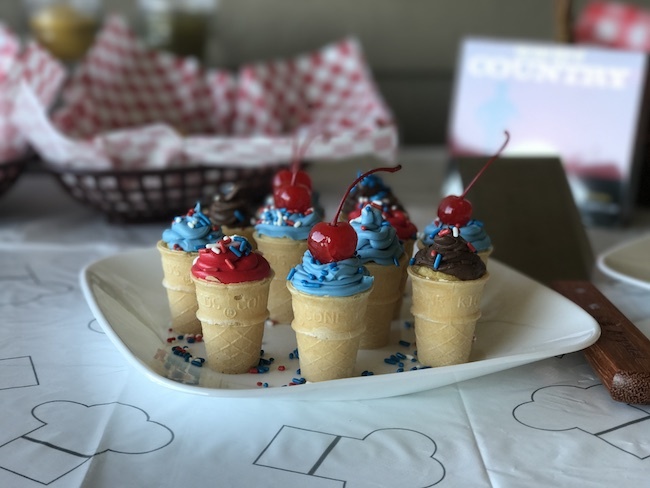 Red, white & blue sprinkles or your choice of colors. 3. Prepare cake mix according to directions. 5. Bake approximately 15 minutes but keep an eye on them because all ovens bake differently. 7. Separate vanilla frosting into 3 bowls leaving 1 white. 8. Add red food coloring to one bowl and blue food coloring to the other. 9. Scoop each color into a plastic baggie (or pastry bag) and snip off the tip. 10. 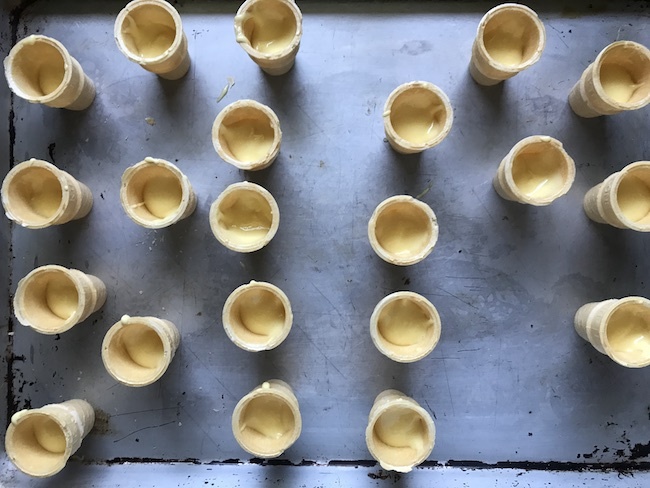 Pipe onto cupcakes once cooled to make it look like ice cream. You can use a fancy tip but you really don’t need to. 11. Repeat with chocolate frosting. 12. Add sprinkles and a cherry on top. 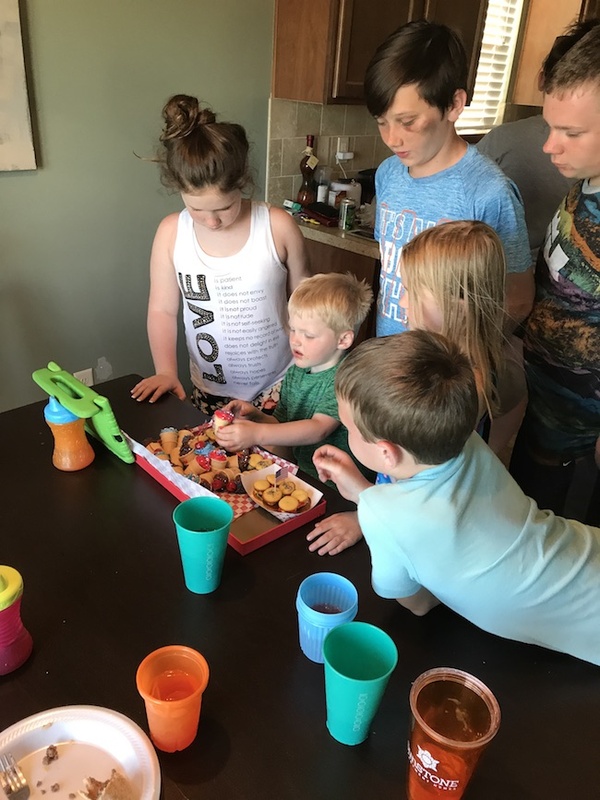 The kids all loved them for Noah’s birthday, that’s for sure. Food coloring. I was going for the red white & blue theme. 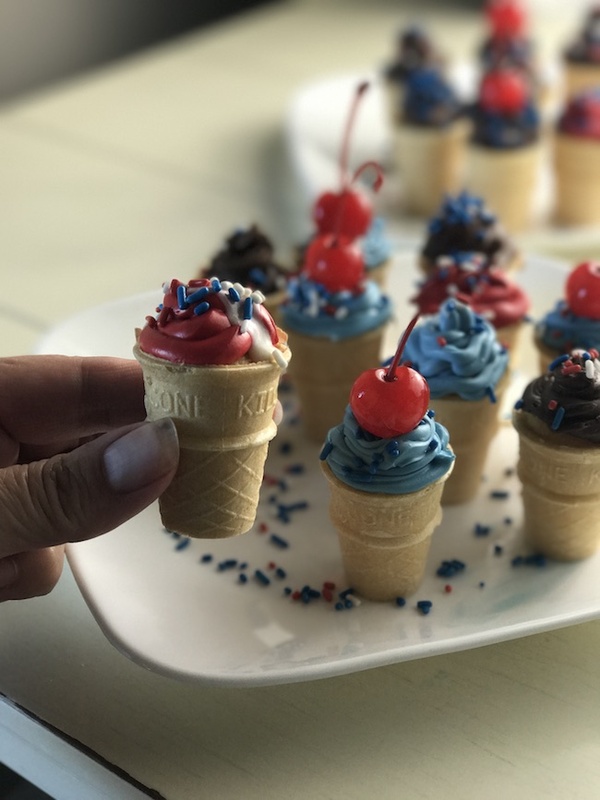 Red white & blue sprinkles or your choice of colors. Bake approximately 15 minutes but keep an eye on them because all ovens bake differently. Separate vanilla frosting into 3 bowls leaving 1 white. Add red food coloring to one bowl and blue food coloring to the other. 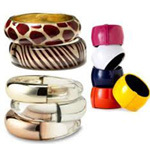 Scoop each color into a plastic baggie (or pastry bag) and snip off the tip. 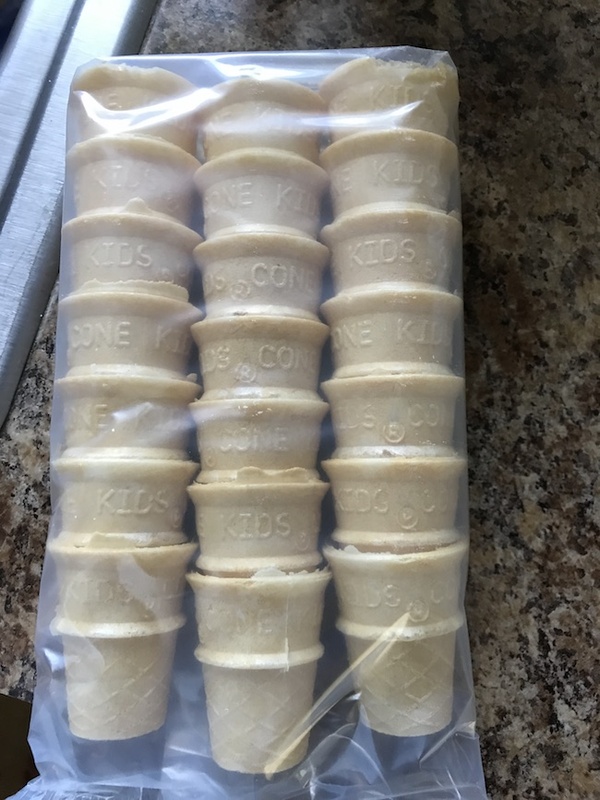 Pipe onto cupcakes once cooled to make it look like ice cream. You can use a fancy tip but you really don't need to. Add sprinkles and a cherry on top. What’s your favorite mini food?